One of my favorite foods to feed my children are avocados! They are such nutrient dense fruits and are so easy to eat...that is why they were one of the first foods I fed my infant daughter and one of her favorite foods because she can eat it so easily with only her four little teeth! It is one of my favorite foods to feed my children (and ME!) because it is so nutrient dense and it provides substantial amounts of vitamins, minerals and other nutrients with relatively few calories. Avocados act as a “nutrient booster” by helping the body to better absorb nutrients from the foods that are eaten with the fruit. One-fifth of a medium avocado (1 oz. serving) has 50 calories and contributes nearly 20 vitamins and minerals, making it a nutrient-dense choice. Avocados contain less than 1 g of sugar per serving. Over 75% of the fat in avocados is unsaturated (monounsaturated and polyunsaturated fats), making them a great substitute for foods high in saturated fat. One thing people may forget, however, is that it is a very versatile fruit that can be eaten alone or used in a variety of tasty recipes – from soups to salads to smoothies – to enhance the nutrient quality of your diet. 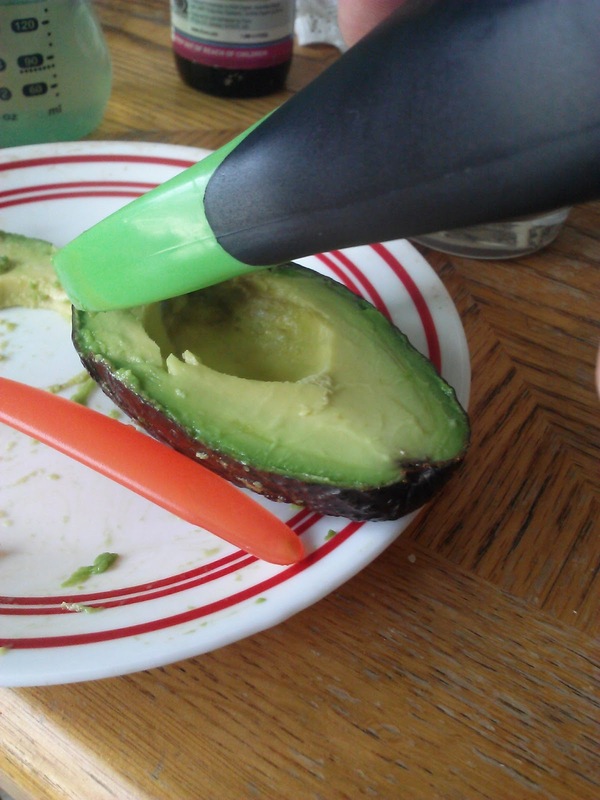 You don't have to only use for guacamole! 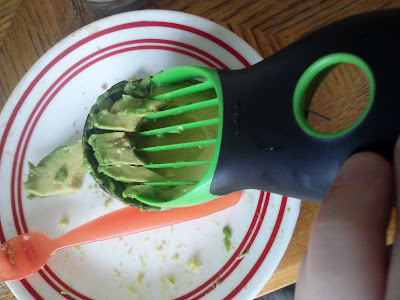 Slicing our avocado with our great avocado slicer! In our house, we love to use avocados for the usual...guacamole, eaten alone or in salads but we also get a little more creative! We love it in burritos grilled on our grill, in shakes/smoothies, on sandwiches and on top of Mexican dishes! 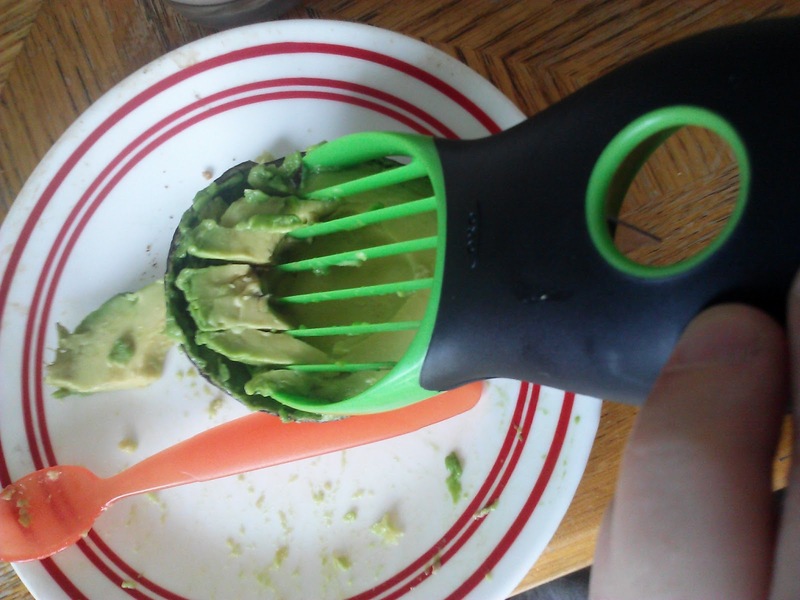 Another great way to use avocados is as a facial treatment! It is really great for the skin! It is your very own spa treatment! Avocados from Mexico are available year-round and can be used in more ways than one would think – from recipes to home crafts to party décor. If you need some avo-inspiration, check out the recipe section on the The Amazing Avocado Website! Buy It: You can purchase Avocados from Mexico at your local retailer! Win It: The Amazing Avocado is generously offering (1) Avocado Prize Basket (including $10 gift card to purchase fresh avocados, recipe book, avocado slicer and T-shirt) to a lucky winner!